We had the pleasure of providing delicious waffles beside Barn & Bread at a corperate booking in Holywood just outside Belfast. This company wanted to celebrate Belgium v England in. 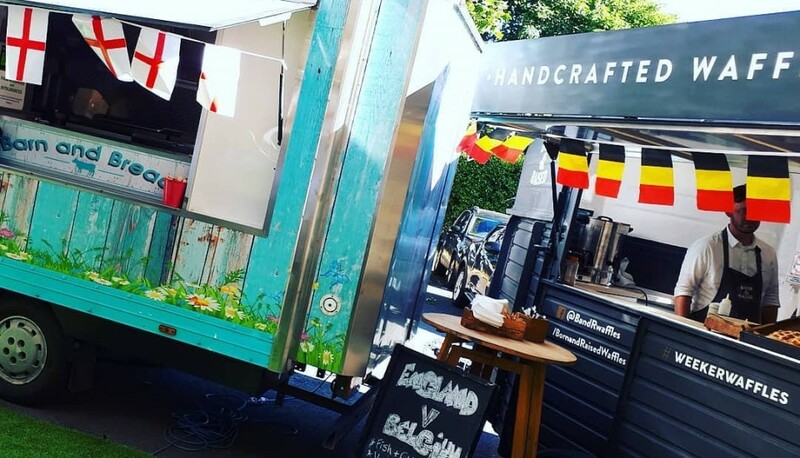 Born in Belgium and raised in Belfast, we make delicious handcrafted Belgian Liege waffles from our cleverly converted horsebox here in our city. © 2015 Born & Raised All Rights Reserved.